How to Manage Linux VPS (SSD and Traditional) from VPS Management Portal? We offer SolusVM VPS management portal with SSD Linux VPS and Ttraditional Linux VPS plans. Following article will assist you to manage your Linux VPS from SolusVM portal. Login to SolusVM control panel. From the main navigation menu, you would see menus like Home, Virtual Servers, My Account etc. Under Virtual Servers menu, you can list the number of virtual machines you have under the same account. This option is only useful when you have added multiple VMs under the same account. 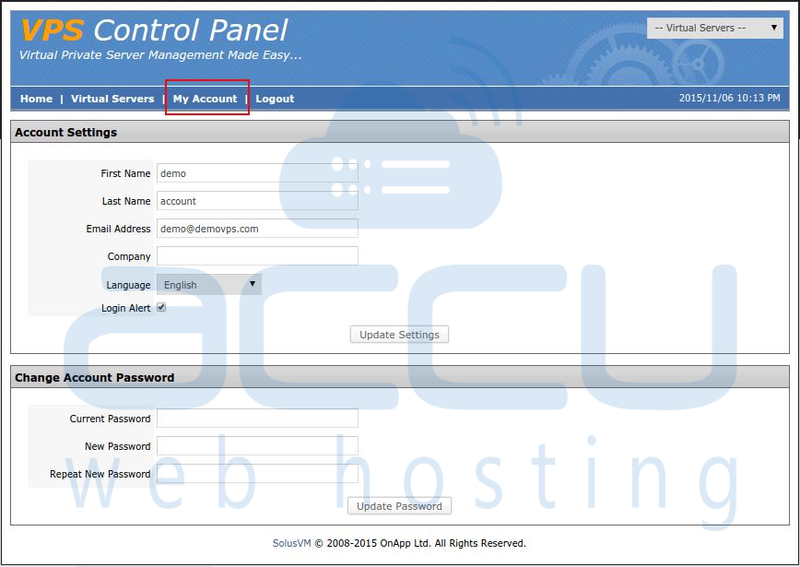 From My Account menu, you can change the account information and reset VPS Management password. On SolusVM dashboard, you would see the configuration information of your VPS such as, Operating system, IP address, Disk space, Bandwidth, Virtualization type, RAM, VPS hostname, Status etc. On the same screen, you are also allowed to access your VPS Serial Console and monitor VPS Bandwidth, Disk space usage. Under Controls section, you would see number of tabs to perform various operations. Under the General tab, there are buttons to Reboot, Shutdown, Boot or Reinstall your VPS. Under Hostname tab, you can change Hostname of your VPS. You are allowed to set a new SSH password for root user under the Root Password tab. Under Statistics tab, you can check the incoming/outgoing traffic statistics and monitor hard disk activities (read and write operations) of your VPS in graphical format. How to install Dotnet Core on Centos 7 ? Will internal traffic between two VPS viz. 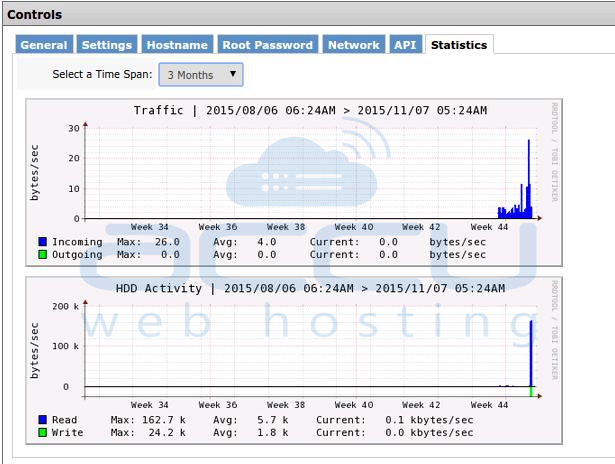 a Database Server and a Web Server be counted in my bandwidth usage? Do you have any limits for setting up Cron jobs or schedule tasks?